Exploring some major disasters and the measures you can take to survive them. Disasters can strike at any time – sometimes quickly and without warning. They can be natural or manmade, but regardless of the origin, preparation is key and could be the difference between life and death. 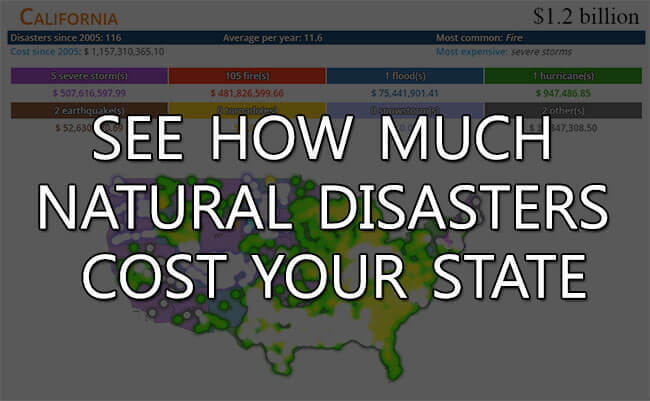 Natural disasters can also be disastrous for your finances. It’s imperative and critical that families put certain measures in place to weather any weather condition. This section outlines major disasters and the steps you can take to ensure the safety and security of your family when they hit. Hurricanes can be powerful and life-threatening. If you live in hurricane prone states, you’ve probably experienced a few. You might remember the 2005 monster hurricane Katrina that claimed the lives of an estimated 1,836 people. Heavy flooding left millions of others homeless. The failure of residents to take heed of initial warnings was listed among the reasons for the extensive loss of life. When a hurricane is looming, it is important to keep abreast with the weather forecasts and heed all warnings in a timely manner. There is a difference between a hurricane watch and a hurricane warning, know it. Hurricane Watch: A hurricane watch means that within 48 hours, hurricane conditions will be a threat. You should therefore have on hand your hurricane plan and be ready to act if a warning is issued. Hurricane Warning: A hurricane warning means that hurricane conditions are expected within 36 hours. Last minute storm preparations should be completed. If authorities have ordered residents to leave their homes and seek shelter you should be ready to just pick up and leave. As you prepare to ride out the hurricane or hurricane season, there are a few things you need to put in place beforehand. 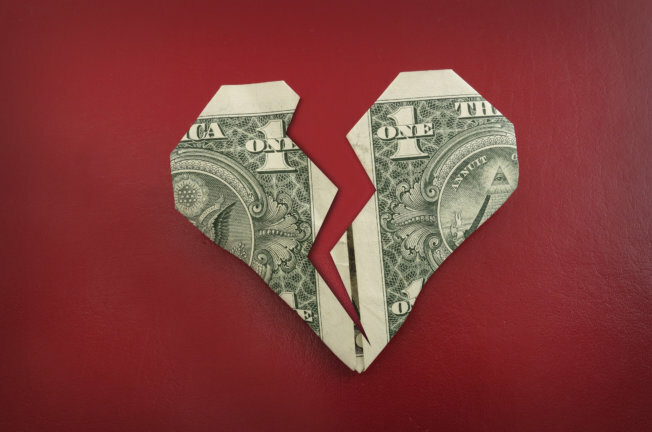 Keep enough cash handy for emergencies. Start an annual “Hurricane Fund” to financially survive a long hurricane season. Create, take stock of and update your disaster supply kit. Include blankets, bottled water, first-aid supplies, flashlights and emergency generators, non-perishable food, medicine, and battery-powered radios. Stock up on non-perishables and bottled water. To ensure that your refrigerated food last longer if the power goes out, turn the refrigerator and freezer to the coldest setting just before the storm hits and keep it closed as much as possible to prevent the cold from escaping. Prune the trees around your home. Make sure they are free from hanging branches. Bring in garbage cans, furniture, or anything the wind can pick up. Protect doors and windows by either boarding them up or installing hurricane shutters. Listen to the weather reports. Get battery powered radios to stay in the know in case the power goes out and the authorities have ordered you to seek shelter. Don’t forget to fill up your car’s gas tank. Create an evacuation plan identify a safe location and get driving directions and alternative routes. Know the location of local shelters. Heed authorized warnings and evacuations, but be cautious as roads and bridges might be flooded. Review your disaster insurance policies, including flood, homeowner’s, and/or renter’s insurance. Check to verify the property is fully protected from damage in weather-related natural disasters. Lenders may be able to assist rebuilding efforts with insurance claim information. 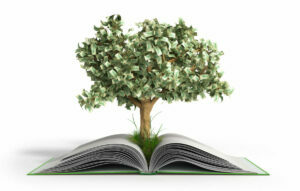 Often, the lender is listed as a lien holder on the insurance policy and can act as a valuable source of information. Have your mortgage information, including loan agreements and escrow papers, on hand. Major disasters often rely on records to establish ownership. Having documentation may shorten the time it takes to collect insurance and benefit claims. Residents who have questions or concerns about their mortgage can contact their local lender to receive information about options to rebuild. Store important financial information in protected, watertight containers and include receipts and family records, wills, deeds, stock certificates, proof of residence, bank statements and credit card information. If your home has damage that requires you to leave, inform your agent or insurance company of your temporary forwarding address and phone number. Keep contact information of your insurance company and your agent handy. Keep it, along with a copy of your policy in a safe place and make sure you have access to it if you are forced to evacuate. Floods can be deadly and costly. Evacuate if advised by authorities, but take all the necessary precautions to avoid being swept away by swiftly moving water. Avoid flooded roads and washed out bridges. Flood or Flash Flood Watch: This means that there is a possibility of flooding in your area. Flood or Flash Flood Warning: This means that flooding is either occurring or will occur soon in your area. Take these necessary precautions to avoid being swept away. Avoid driving in flood waters at all costs and be extremely vigilant at night. If you are driving and flood waters are rising rapidly, get out of the car and move to higher ground. Reports indicate that most cars can be swept away by less than two feet of moving water. Remember, flood waters can be contaminated and can cause illnesses. Keep kids away. After the flood passes and the water recedes, assess damage to your house and property. To protect your assets, record and photograph the destruction, it will come in handy when filing insurance claims. 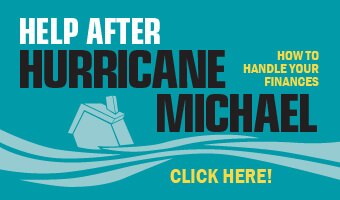 Read through the tips provided above on Hurricanes. Much of the advice can also apply if you live in a high-risk flood zone, such as having mortgage documentation and insurance policy information in watertight file folders. Heat waves can trigger wildfires and droughts. Heat is the number one weather-related killer in the United States. The National Oceanic and Atmospheric Administration (NOAA) says, on average excessive heat claims more lives each year than floods, lightning, tornadoes and hurricanes combined. In 1980 bad heat waves claimed more than 1,250 lives and more than 700 lives were claimed in 1995. According to the National Geographic, excessive heat waves are set to become more routine in the coming years. So, what can you do now to prepare for what scientists are saying will be inevitable in the next decade? Below are some pointers, but first, let’s familiarize ourselves with the some common terms forecasters use when a heat wave is predicted in your community. Excessive Heat Watch – Issued when the potential exists for an excessive heat event in the next 12 to 48 hours. This is issued to give residents some time to prepare for it. Excessive Heat Warning – When an excessive heat event is expected, occurring or imminent in the next 36 hours, and may pose a threat to life or property a heat warning is re-issued. If caution is not taken, it could lead to a threat to life and property. Heat Advisory – An advisory is for less serious conditions that cause significant discomfort or inconvenience and, if caution is not taken, could lead to a threat to life and/or property. According to the Centers for Disease Control (CDC), the elderly, very young persons, persons with chronic illnesses or those with mental illnesses are more likely to become victims of excessive heat. Know where they are in case they need help evacuating. If you do not have air conditioning, go to a public place like a library or mall to keep cool during the warmest part of the day. Eat small meals often and stay hydrated. Opt for water and avoid caffeine and alcoholic beverages. Wear clothes that are loose, lightweight and lightly colored. Light colors reflect the sun’s rays, dark colors absorb it. Don’t forget about your animals and pets. Make sure they are shaded and hydrated. There are three stages to heat illness. Recognizing the symptoms and caring for them could be the difference between life and death. Heat Cramps – are muscular pains and spasms that usually occur in the legs or abdomen. They are thought to be caused by exposure to high heat and humidity and loss of salt, fluids and electrolytes. Heat Exhaustion – is due to loss of body fluids through heavy sweating. It is also characterized by weakness, headache, dizziness, low blood pressure, elevated pulse, and temperature elevation as high as 104 degrees F (40 degrees C). Call 9-1-1. Heat Strokes – are life-threatening and occur when a person’s “internal thermostat” stops working and the body is unable to cool itself. At this stage severe dehydration has occurred, the skin becomes hot and turns red, the pulse is rapid and weak, they’re vomiting, there is a change in the person’s consciousness accompanied by a high body temperature of greater than 105 degrees F (40.6 degrees C). Temperatures may reach as high as 110 degrees Fahrenheit (43 degrees Celsius). Note that the oral temperature at this stage is usually inaccurate. The brain, heart, lungs, kidneys and other organs may become damaged and result in death. Call 911 immediately. In all these cases, move the person to a cooler place and fan them. Remove or loosen their clothing and apply cool, wet clothes or towels to the skin. Rub them with ice and apply cold packs wrapped in a cloth to their wrists, ankles, groin, neck and armpits. If the person is conscious, give them small amounts of cool water to drink slowly. If they refuse the water by vomiting or begin to lose consciousness, call 911. Tornadoes are violent and can cause extensive damage in record time. Pay attention to and know your community’s warning system. Many use sirens as a warning sign of imminent danger. Your forecasts typically include these two terms. It is important to know what they mean. Tornado Watch – This means that tornadoes are likely to strike in and near the watch area signaling you should immediately review and discuss your emergency plans with the family. Make sure that your supplies are sufficient; your safe room is in order and you are ready to act promptly if a warning is issued or if you suspect a tornado is approaching. Remember acting early save lives! Tornado Warning – A tornado has been sighted by weather radar and indicates that a tornado is about to strike. Seek shelter immediately, underground. Pick a safe room like a basement, storm cellar or an interior room on the lowest floor with no windows. If you are caught outdoors and have time to get somewhere safe, get into your vehicle immediately, buckle your seatbelt and drive to the closest sturdy building. If debris starts flying, park, leave your seatbelt on and put your head down below the windows. Slick and icy roads, hypothermia from exposure to the cold, carbon monoxide exposure from improper ventilation of alternative heat sources, like generators, heart attacks from overexertion while shoveling snow, pushing a car or walking in the snow have been the causes of death in winter storms. In 2012, 11 deaths were blamed on winter storms and just one month into 2014, winter storms claimed 21 lives. Two of them were snowplowing accidents. Layer your clothing and wear mitts, hat and earmuffs. Wear protective shoes. Preferably waterproof, made specifically for the snow. Fill up your car’s gas tank to prevent the gas line from freezing. Cover windows with plastic to keep cold air from coming in if there are no storm windows installed. Inspect chimney and fireplaces annually. Run your water at a trickle to prevent pipes from freezing. Be sure that all fuel-burning equipment is vented to the outside. Frostbites and Hypothermia are two dangerous and potentially life-threatening conditions that can occur in the wake of a snow storm. Here’s an explanation of what they are and what you can do to prevent or otherwise treat them. Frostbites are damage to body tissue caused by extremely cold conditions. A wind chill of -20° Fahrenheit (F) accompanied with light winds can cause frostbites in just 30 minutes. If your fingers become pale or white and you’re unable to feel your fingers, toes, earlobes or the tip of your nose, seek medical attention immediately. As you wait for the medic be sure to re-warm the affected areas. Hypothermia is a condition that can kill you if the body’s temperature drops to less than 95°F. Seek medical help immediately. Hypothermic survivors may have lasting damage to the kidneys, liver and pancreas. Look for these signs – uncontrollable shivering, memory loss, disorientation, incoherence, slurred speech, drowsiness and apparent exhaustion. While you await medical care, use your body to heat the patient. Warm the body’s core before the extremities. Starting with the arms and legs drives cold blood toward the heart and can lead to heart failure. A fire – wild or in your home – can happen anytime. Wildfires often occur unnoticed and spread quickly; every minute counts. Install smoke alarms in your home and make sure they are fully functional. Replace batteries at least once a year and immediately once it begins to chirp. Sixty-five percent of home fire deaths occur in homes with no working smoke alarms. Practice two ways out of every room in your home and neighborhood in case your primary route is blocked. Make sure your entire household knows where to meet outside. Teach and practice how to stop, drop and roll in case clothes catch on fire. Carbon monoxide alarms cannot be substituted for smoke alarms. Never open doors that are warm. Crawl low under the smoke to escape. Use an extinguisher if fire is contained in one area and if the room is smoke-free and everyone has gotten out of the building. Contact your local fire department for training on how to use a fire extinguisher. Once you are able to get out, stay out and call 9-1-1! Never use generator, gas and charcoal grills or propane in enclosed spaces. They can cause fires and produce deadly carbon monoxide gas. If recovery from a natural disaster has left you with high interest rate credit card debt, we can help. Talk to a certified credit counselor now. I was hesitant to call Consolidated Credit. However, I took the first step and am so happy I did. 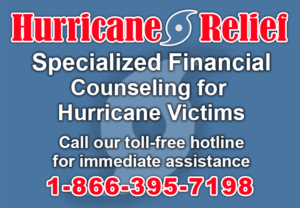 My husband and I struggled with aftermath of a hurricane and Consolidated Credit offered relief and a light at the end of the tunnel. 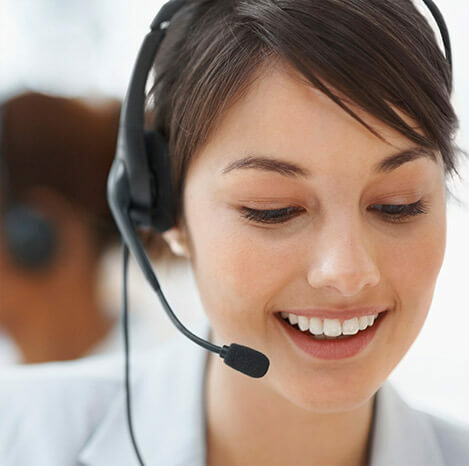 The Consolidated Credit agents are professional and also understanding, very easy to speak with and will offer solution to needs. I would highly recommend this to anyone feeling trapped financially. Surviving the aftermath of a disaster. Often the deadliest moments of a disaster occur not during the storm, but after the storm as a direct result of your actions (or inaction). Here are some tips to help you move forward in a safe and incident-free manner. The less danger you and your family face after a disaster strikes, the less likely you are to incur more damage to property or expensive medical bills from injury. Remain where you are until the official “All Clear” notification is given by local emergency management officials. If you had to evacuate, be sure to get clearance from the local authorities before returning. Use your battery-operated radio at home to monitor conditions and receive the latest instructions. If you are returning home following a hurricane, be aware that travel times will be long and roadways may be hazardous. Assess immediate hazards and conditions in your area. Assess damage to your house and property, recording and photographing when possible to protect your assets. Listen to your local radio or TV after the storm to find out if there are any flooded areas. Remember to avoid flooded roads and washed out bridges. Use flashlights when examining buildings; not candles. After power is restored, leave the main circuit breaker off until water has receded. Do not turn on appliances that are damp or wet. Leave air conditioner off until power has stabilized. Use extreme care with chain saws and generators. Avoid downed wires and debris which can cause injury. Follow boil water directives, purify as necessary, and use only uncontaminated water for drinking, brushing teeth, and cleaning contact lenses. Coordinate with insurance agents and city officials for permanent repairs. Avoid puddles and standing water especially if there are downed power lines outside your home. Report loose or dangling power lines immediately to your power company and steer clear. Make sure that your pets and kids stay away, too. If a building has water all around it, do not enter. Parts of your home may be collapsed or damaged, approach entrances with extreme caution. If you hear a hissing sound or smell gas, vacate the home and call the fire department. Wear protective clothing when examining your home. Do not enter damaged buildings. Flood waters may have carried with it poisonous snakes, be on the lookout. Conduct a thorough inspection of your home and take pictures of damages for insurance purposes. Until you are certain that the water is safe, do not drink, cook, wash dishes, or brush your teeth with it as it may be contaminated. Be sure to boil and treat it before use. Your local health department can provide you with tips for treating water that may be contaminated. Make sure that your refrigerated food is safe for consumption. If you aren’t sure, throw it away. Wear rubber gloves and boots when cleaning up. Handle hazardous products carefully to avoid injury. Handle with care and throw away batteries, paints, contaminated fuel. Don’t forget about your animals and pets. Seek shelter if there are power outages in extremely cold conditions. Avoid driving in sleet, freezing rain or drizzle, snow or fog. Wear warm loose-fitting, lightweight clothing to protect from frostbites and hypothermia. Do not use generator or grill or other propane devices inside your home. In addition to increased chances of causing a fire, they emit carbon monoxide gases that are poisonous and deadly. You may use these appliances in a garage or basement but, locate unit away from doors, windows and vents. Don’t forget to install carbon monoxide alarms. Your smoke detectors do not detect carbon monoxide. If the alarm sounds get some fresh air immediately by going outside or opening windows and doors. Many families find themselves in a financial state of emergency in the wake of a storm and have questions about paying bills, insurance, and unemployment benefits. If you are in a financial emergency, these tips may help your financial situation during a crisis. Contact your lenders and take advantage of grace periods on mortgage and credit card payments that are offered to disaster victims if you are concerned about paying your bills. If you are renting, through renters insurance, it is the landlord’s responsibility to pay for damage or loss of your personal property. Inform them of any damages immediately. File for state unemployment benefits if you have lost your job, or your employer is no longer in business as a result of the storm. Be careful who you give personal information to. FEMA, insurance companies, and banks may need to get details like social security numbers to verify your identity. Most other organizations do not need this information. Be careful with contractors. Get estimates from more than one licensed, bonded, reputable contractor; check licenses and permits; get contracts in writing and find out what neighbors are paying for similar work. Also, pay as the work is getting done, not up front. Be sure all official inspections and approvals are in place before making a final payment. Disaster recovery often leads to high interest rate credit card debt. Let our certified credit counselors help you make a plan to reestablish financial stability. If you live in a disaster area, you may qualify for discounted rates on a debt management program.